Nuclear generation currently accounts for roughly 20% of the US baseload power generation. Yet, many US nuclear plants are entering their first period of life extension and older plants are currently undergoing assessment of technical basis to operate beyond 60 years. Critical structural components, such as the reactor pressure vessel (RPV), will be exposed to higher levels of neutron radiation than they were originally intended to withstand. Neutron radiation in these types of steel components causes a cascade of point defects through the material, which ultimately migrate and build up to form clusters, precipitates, dislocations, and loops that are on the nanometer scale in size. The microstructural features ultimately cause embrittlement of the material and can leave components susceptible to irradiation assisted stress corrosion cracking. 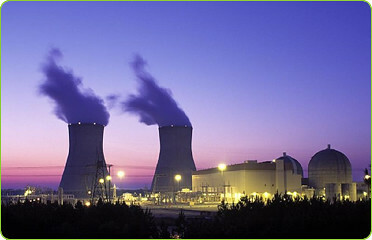 There is currently no nondestructive evaluation (NDE) technique to unambiguously assess the amount of radiation damage in nuclear reactor pressure vessel steels. 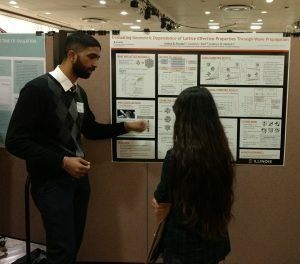 Nonlinear ultrasound is a promising NDE candidate for this application, as these techniques have the ability to monitor microstructural changes in metallic materials. 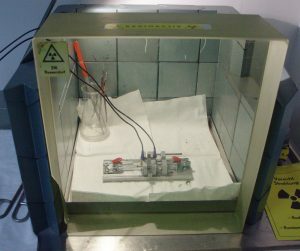 Shielding and measurement fixture for nonlinear ultrasonic measurements of an irradiated Charpy impact sample. Nonlinear ultrasound exploits material nonlinearities to detect initial damage (e.g., dislocations, precipitates, microcracks) in structures (e.g., energy infrastructure, aircraft components) well before macroscopic cracking and failure. 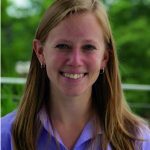 We are using nonlinear ultrasonic techniques to characterize radiation damage in the reactor pressure vessel, to ensure safe and cost-effective operation of nuclear power plants. By collaborating with the Electric Power Research Institute, we’ve aligned these research goals with the needs and goals of the DOE and the nuclear industry. We showed that experimentally generated higher harmonic amplitudes (e.g., from material defects) are sensitive to changes in neutron fluence, material composition, and irradiation temperature, demonstrating a feasible nondestructive evaluation method to detect irradiation-induced embrittlement. This capability means NLU has the potential to inform life extension decisions of nuclear reactors, resulting in safer and longer operation and savings from unnecessary reactor shut-downs. 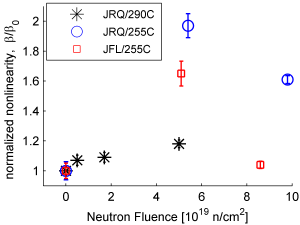 An example result from NLU measurements on two different reactor pressure vessel steels, over increasing levels of neutron fluence and different irradiation temperatures is shown. The normalized nonlinearity parameter increases with increasing fluence up to a critical neutron fluence level (which likely corresponds with a critical number of precipitates), and this trend is more pronounced at lower irradiation temperatures. This shows experimental evidence of the feasibility of using nonlinear ultrasound to monitor radiation-induced damage. K.H. Matlack, J.J. Wall, J.-Y. Kim, J. Qu, L.J. Jacobs,M.A. Sokolov. “Sensitivity of ultrasonic nonlinearity to irradiated, annealed, and re-irradiated microstructure changes in RPV steels,” Journal of Nuclear Materials, Vol. 448, p. 26-32, 2014. K.H. Matlack, J.J. Wall, J.-Y. Kim, J. Qu, L.J. Jacobs, H.-W. Viehrig. “Evaluation of radiation damage using nonlinear ultrasound,” Journal of Applied Physics, Vol. 111 (5), 2012. J. Wall, K. H. Matlack, J.-Y. Kim, L. J. Jacobs, H.-W. Viehrig, “Nonlinear Ultrasonic Testing for Radiation Damage,” presented at the 9th International Conference on NDE in Relation to Structural Integrity for Nuclear and Pressurized Components, Seattle, WA, May 22-24, 2012. K.H. Matlack, J. Wall, J.-Y. Kim, L.J. Jacobs, J. Qu, H.-W. Viehrig, “Nonlinear ultrasound to monitor radiation damage in structural steel,” presented at 6th European Workshop on Structural Health Monitoring, Dresden, Germany, July 3-6, 2012, Vol. 1 pg. 138-145. K.H. Matlack, J.-Y. Kim, J. Wall, J. Qu, L.J. Jacobs, “Nonlinear ultrasonic methods to monitor microstructural evolution in metals,” presented at the 49th Annual Technical Meeting of the Society of Engineering Sciences, Atlanta, GA, October 10-12, 2012. K. H. Matlack, “Nonlinear Ultrasonic NDE for reactor pressure vessel steels,” EPRI/Department of Energy Nondestructive Evaluation Workshop, Electric Power Research Institute, Charlotte, NC, October 23, 2012. K. H. Matlack, “Ultrasonic NDE methods for RPV components,” Reactor Pressure Vessel Monitoring Workshop, Oak Ridge National Laboratory, Oak Ridge, TN, August 1, 2012.